This paper investigates optimal model selection for posture recognition. Accuracy and computational time are related to the trained model in a supervised classification. An optimal model selection is important for a reliable activity monitoring system. Conventional guidance on model training uses large instances of randomly selected data in order to characterize the classes. 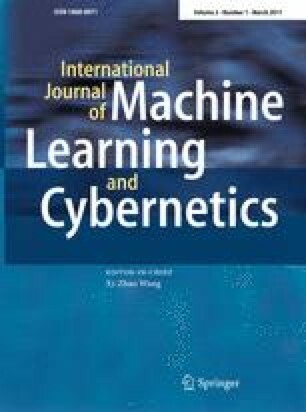 A new approach to the training of a multiclass support vector machine (SVM) model suited to limited training sets such as used in posture recognition is provided. This approach picks a small training set from misclassified data to improve an initial model in an iterative and incremental fashion. In addition, a two step grid-search algorithm is used for the parameters setting. The best parameters were chosen according to the testing accuracy rather than conventional validating accuracy. This new approach for model selection was evaluated against conventional approaches in an activity classification study. Nine everyday postures were classified from a belt-worn smart phone’s accelerometer data. The classification derived from the small training set and the conventional randomly selected training set differed in two aspects: classification performance to new data (85.1% Pick-out small training set vs. 70.3% conventional large training set) and computational efficiency (improved 28%). The authors acknowledge the support of University of Ulster Vice Chancellor Scholarship Programme, and thank all members of the Smart Environments Research Group for their help with collecting the experimental data. Special thanks are due to Mr W Burns for assisting with the code for data collection using the HTC phone.